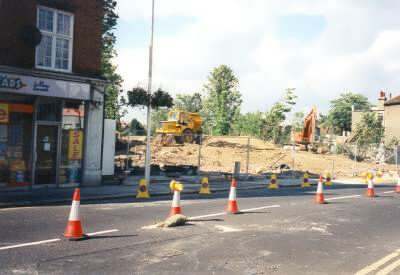 The bridge over Lower Addiscombe Road was removed once the through trains stopped running and made it possible for taller vehicles to use the road. 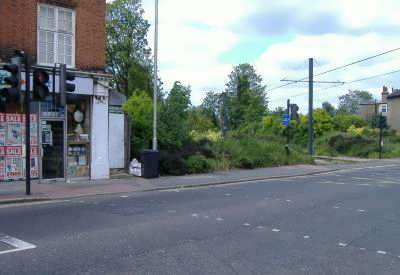 The TramLink route used the old train line route for the Beckenham to Croydon line. road at the same location.